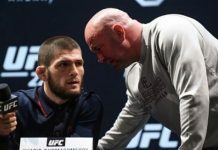 As expected, things got heated between current UFC lightweight champion Khabib Nurmagomedov and former division title holder Conor McGregor at tonight’s UFC 229 ceremonial weigh ins. The bitter rivals squared off in front of thousands of fans this evening at T-Mobile Arena in Las Vegas. 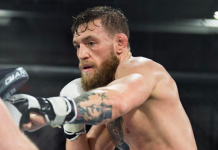 When “Mystic Mac” and “The Eagle” got within striking distance, McGregor quickly slapped away Khabib’s fists. This caused a brief scuffle, which included McGregor throwing a front kick at the undefeated Russian fighter. After things settled down on stage, UFC commentator Joe Rogan interviewed both men about tomorrow’s highly anticipated UFC 229 headliner. 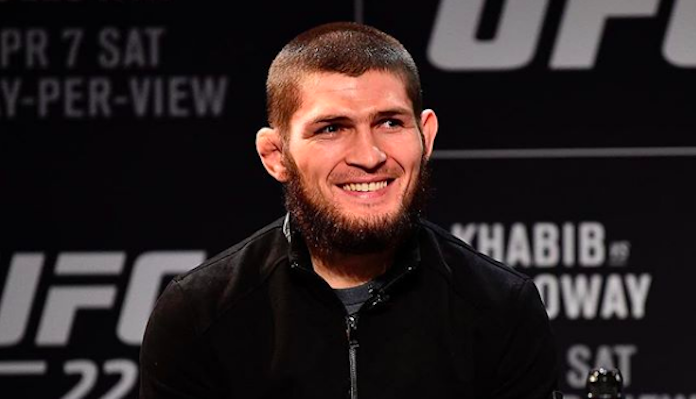 Khabib Nurmagomedov got in the last word and with that delivered one final message to Conor McGregor’s fans and the Irish faithful. 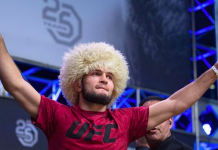 Khabib Nurmagomedov has gone a perfect 26-0 in his mixed martial arts career, which includes ten victories under the UFC banner. 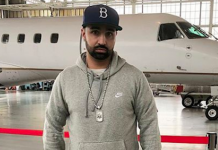 That same weekend, former UFC “champ champ” Conor McGregor made headlines when he attacked the UFC fighter bus insde the Barclays Center which resulted in three fighters being injured. 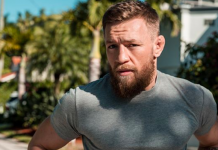 Conor McGregor has since been cleared of all felony charges stemming from the incident and will now face his bitter rival on October 6.